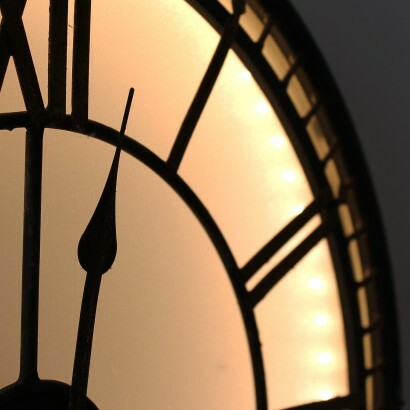 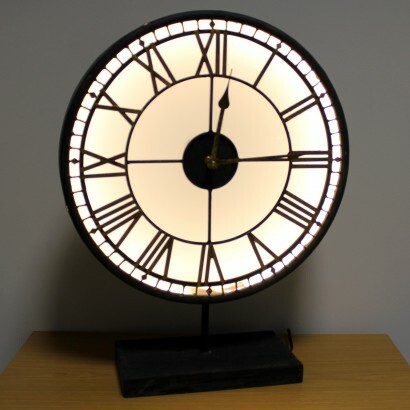 A timeless classic, this Westminster clock is all about the face with it's stylish outlook illuminated with warm white LEDs for a beautiful warm glow. 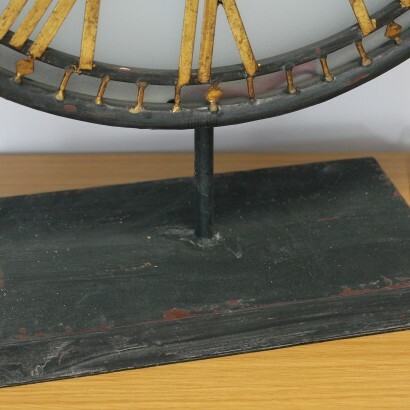 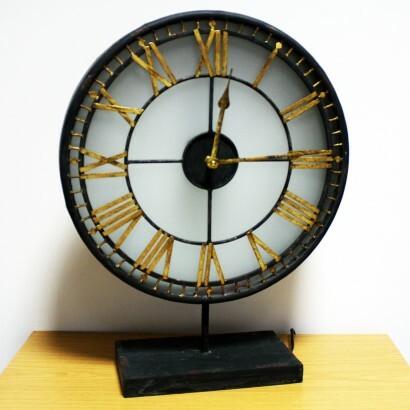 Supported on a stand with distressed vintage styling, this large metallic clock adds Great British character to your home appearing to hover in the dark as the time shines from the shadows with soft inviting light. 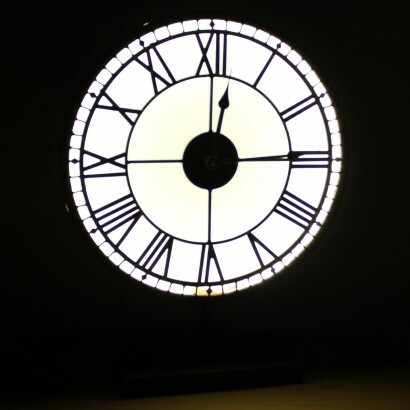 Mains operated, plug in to power the LEDs in the clock face whilst the clock mechanism is battery operated (not included).